On Sunday, May 13, restaurants across Los Angeles are offering lavish buffets and special prix fixe menus for Mother's Day. Read on for Mother's Day specials at L.A. restaurants, because every mom deserves nothing but the best. For even more options, check out our guide to Mother's Day specials at Los Angeles hotels. Described as a “moveable feast” because it doesn’t fall on the same date every year, Easter Sunday is known for family friendly traditions such as egg hunts, the Easter Bunny and Easter parades. Restaurants across Los Angeles are celebrating the holiday with lavish brunches and special prix fixe menus. Read on for restaurants and hotels in L.A. to enjoy Easter Sunday. All Easter brunches and dinners take place on Sunday, April 1, 2018 unless otherwise noted. From the pre-bowl game feasting at Lawry’s Beef Bowl to the spectacular Rose Parade and the legendary Rose Bowl Game, the Tournament of Roses is a Southern California tradition that is unequaled anywhere in the world. 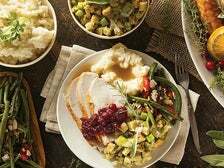 Whether you're visiting Los Angeles or just want someone else to take care of everything on Thanksgiving Day, hotels offer some of the best Thanksgiving dining options in the city. 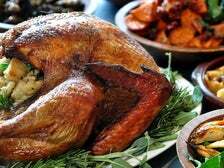 From traditional holiday dinners to lavish buffets and international menus, read on for some of the best Thanksgiving Day celebrations at L.A. hotels on Thursday, Nov. 22. For more Thanksgiving dining options, read the dineL.A. 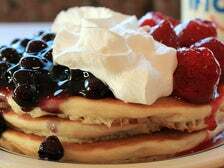 guides to Thanksgiving at L.A. restaurants and the best vegan menus in L.A.
On Veterans Day, popular restaurant chains are offering free and discounted meals to veterans and active military with valid ID. On Thanksgiving Day, restaurants across Los Angeles are preparing sumptuous holiday meals that will please every palate. From traditional feasts with all the trimmings to globally inspired menus, read on for L.A. restaurants that are hosting Thanksgiving celebrations on Thursday, Nov. 22, 2018. For more Thanksgiving dining options, read the dineL.A. guides to Thanksgiving at L.A. hotels and vegan restaurants. 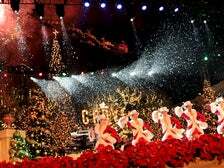 Southern California may not get the full winter chill as other areas of the country, but when it comes to the holidays, Los Angeles goes all out. With our constant sunshine and palm trees, we take the holidays very seriously, especially shopping. Because really, there's no better way to get into the spirit of the season than finding the perfect gift for that special someone. And if you happen to discover a gift for yourself along the way, just remember, you deserve it! Make your list, check it twice, then read on for our guide to holiday shopping in Los Angeles. The Feast of the Seven Fishes, aka La Vigilia (The Vigil), is a traditional Italian-American Christmas Eve celebration that commemorates La Vigilia di Natale, the wait for the midnight birth of the infant Jesus. The feast typically features at least seven different seafood dishes, which are served before midnight Mass. The custom of eating seafood on Christmas Eve comes from the Roman Catholic tradition of abstinence - i.e., no meat or milk products - on the eve of certain holy days. Although La Vigilia’s true origins are unknown, the custom is said to have begun in Southern Italy. The number seven may refer to the seven sacraments, the Seven Hills of Rome, or perhaps the idea of completion - according to Genesis, God rested on the seventh day. 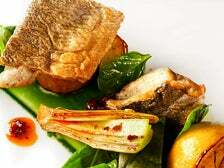 Baccalà (salted cod fish) is a traditional favorite of the sumptuous meal, along with a myriad of other seafood dishes. From traditional family-style menus to modern twists, restaurants across Los Angeles are celebrating the Feast of the Seven Fishes. 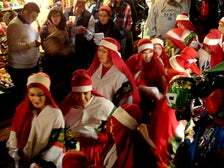 Las Posadas is one of the oldest celebrations in Los Angeles, a wonderful holiday tradition that takes place on Olvera Street from December 16-24 every year since the 1930s. 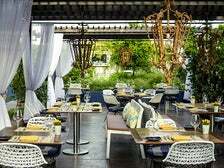 Hotels offer some of the best Mother’s Day brunches in Los Angeles. 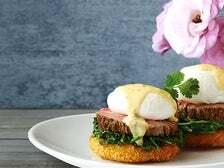 From extravagant buffets to delicious prix fixe menus, read on for the best Mother's Day specials at hotel restaurants on Sunday, May 13. 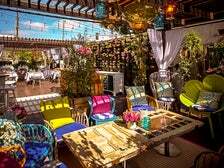 For even more options, check out our guide to Mother's Day specials at L.A. restaurants.